I’ve written before about the virtue of auctioning off 100% of the emission permits in any cap-and-trade program. The problem with allocating permits to electric utilities for free is that energy prices will go up anyway and the utilities will reap a windfall profit. The explanation for how this happens is a little convoluted, but it’s very real: utilities in Europe profited handsomely from the first botched phase of their cap-and-trade system. Several readers, however, have emailed to say that since most utilities in the U.S. are regulated entities, they wouldn’t be allowed to raise their prices unfairly. And that’s a good point. In fact, at one time I had the idea of writing a piece about how a broad emissions program like cap-and-trade (or a carbon tax) would intersect with the fantastically complex, interlocking set of state, local, and federal regulations that govern most power utilities in the United States, but I gave up pretty quickly. It didn’t take long to figure out that I’d probably have to study the subject for years to have any real understanding of how it works. not the generator or the entity that sells wholesale gas or power itself….State regulators, city managers, or coop management boards — who have full access to the accounts of distributors — set distribution charges so as to manage the profits earned by the distributor. This is a key point. Unlike some other parts of the utility industry, distributor profits are strictly controlled. 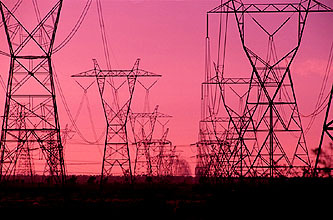 ….Each state regulator or manager of a coop or municipal utility must conduct a proceeding to determine how the value of allowances will be treated — for example some of the proceeds might help fund energy efficiency if the regulators decide that represented benefits to retail customers. But, W-M does not allow the size of individual customer rebates to reflect that customer’s metered energy consumption. With these provisions, it will be awfully hard for any utility to harvest a windfall from the free allocations — especially a shareholder-owned utility. Yes, the free allowances given to the distribution utility will be worth a lot. But the law is pretty clear that the benefits of receiving the free allowance go to the utility’s customers, not their shareholders. ….The important takeaway is that material windfalls are about as likely as the Washington Nationals winning the pennant this year. There’s much more at the link, including a Q&A, if you want to dive into this more deeply. And I’ll confess to some lingering skepticism, since this depends largely on local regulatory authorities keeping things on the straight and narrow. Still, this is one of those complex areas that I’m just flatly unqualified to judge, so I’m outsourcing my brain a bit. Basically, if Joe Romm vouches for these guys and their analysis, then I’m ready to believe them unless some contrary evidence comes along. I’m still not happy with the vast number of permits being allocated under Waxman-Markey, but (a) I understand the political realities that forced this to happen and (b) it sounds like it’s not quite as bad as I thought.